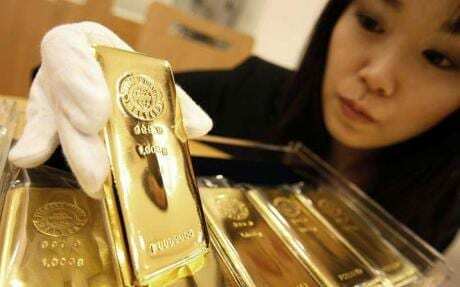 Gold traders are playing close attention to reports from Beijing that the China is thinking of boosting its gold reserves from 600 tonnes to nearer 4,000 tonnes to diversify away from paper currencies. “If true, this is a very material change,” he said. Mr Fitzpatrick said Britain had made a mistake selling off half its gold at the bottom of the market between 1999 to 2002. “People have started to question the value of government debt,” he said. Citigroup said the blast-off was likely to occur within two years, and possibly as soon as 2009. Gold was trading yesterday at $812 an ounce. It is well off its all-time peak of $1,030 in February but has held up much better than other commodities over the last few months – reverting to is historical role as a safe-haven store of value and a de facto currency. Gold has tripled in value over the last seven years, vastly outperforming Wall Street and European bourses.